Steven Levitt and Stephen Dubner have a sequel out to Freakonomics called (natch) Superfreakonomics. This time, however, instead of investigating interesting trivia like the possible fixing of sumo wrestling matches, they decided to take on actual important topics like global warming. If the blogospheric freakout over the past few days is any indication, they appear to have made a considerable hash out of it. I haven’t written about this before now because I don’t have a copy of the book. (It used to be searchable on Amazon, and Joe Romm used to have a photocopy of the chapter in question on his blog, but the publisher took both of them down.) However, you can find copious takedowns of Levitt and Dubner’s work from Romm, Brad DeLong, Paul Krugman, RealClimate, and others all over the intertubes. Dubner and Levitt respond on their blog. Without a copy of the offending chapter in hand I’m reluctant to say very much about this, but I will say one thing. 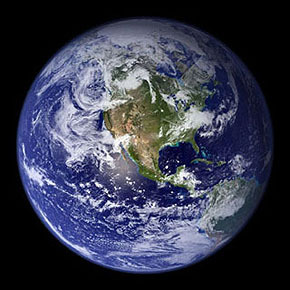 L&D’s writeup centers on geoengineering, the study of gigantic projects to reduce global warming. In particular, they’re fans of the idea of pumping huge amounts of sulfates into the stratosphere in order to reflect a little bit of sunlight back into space and away from earth. The theory is simple: Less sunlight = less heat energy = less global warming even if CO2 levels keep rising. There’s actually nothing wrong with studying stuff like this. I happen to agree that, politically speaking, the odds of getting tough global agreements in place to limit greenhouse gas emissions don’t look good. And if CO2 levels keep rising despite the best efforts of climate scientists and environmentalists, we might want to have some alternatives available even if the alternatives have a lot of risk associated with them. Still, if you talk about this stuff, you have two serious obligations. The first is to make it very, very clear that reducing CO2 really is the first best solution and we should do everything in our power to figure out ways to make that happen. It’s not technically impossible, it won’t wreck the economy, and we can do it if we manage to muster up the political will. It’s reckless and wrong to even hint at anything different. Begin with the fact that politicians are extremely risk averse. Who wants to be the guy in charge of the effort to build the who-knows-how-many-billions-of-dollars 18-mile long sulphur dioxide tube? The downside risks are enormous relative to the potential upside benefits. ….But the real failing is the inability to consider the way that various interest groups are likely to act. In the best case scenario for geoengineering, costs are likely to be focused on certain groups and certain locations, and those groups may respond to the proposed solution by doing anything from demanding compensation to threatening war, depending on their severity. If risk models indicate that certain particularly bad outcomes might result from the project with certain probabilities, and they will, the potential for those outcomes will be negotation flashpoints, potentially leading to intractable divisions between countries. Geoengineering seems like the easy approach now, because it’s not on the table. There is no hysterical battle between proponents and opponents, no op-ed bickering between scientists and faux scientists, no global debate on who would and should bear which costs associated with whatever solution is agreed upon. But as soon as it became a real possibility, a fierce debate would rage. And, if one major geoengineering solution were tried and it failed, it is difficult to see how another attempt could win support, and at that point, of course, we’d have lost the ability to address climate change by reducing emissions when it would have helped. Italics mine. Everything seems easier when it’s just an academic exercise. But geoengineering isn’t something that a single country can pull off. It’s a global problem, after all. That means treaties and conferences and endless debate over costs and benefits and what the target temperatures ought to be and who’s responsible for side effects. There just aren’t any easy answers here. It’s also worth noting that even if we eventually resort to geoengineering, our job will be a lot easier if we’ve already made some progress on reducing greenhouse gases. Trying to solve a 7°C temperature rise entirely with atmospheric sulfates would require a lot of sulfates and produce a lot of side effects. But if we manage to solve half the problem with greenhouse gas reductions, we’re still way ahead of the game even if we can’t manage the other half. It means that we only have to address a 3°C problem with sulfates, and while this might still be dangerous and unpredictable, it’s a lot less dangerous and unpredictable. Anyway, this is a long post for someone who was reluctant to say anything until he’d actually read the book chapter that’s causing all the fuss. But it’s a point worth making no matter what Levitt and Dubner actually said. We may be forced into some kind of geoengineering project eventually, but we shouldn’t let a bunch of obsessive Microsoft refugees convince us that it’s a super neato solution to all our woes. It’s not. It’s a last ditch solution that we should think about implementing only if we completely screw up every better opportunity.